We are an ISO 9001-2008 certified, CPRI approved manufacturer of Control Panels since last 20 years. We also specialize in designing & manufacturing wide variety of panels like PLC panels, VFD panels, Power Distribution panels, MCC/PCC panels, Syncronisation panels, Turbine Syncronisations panels etc. Our company is highly rated in offering AC Drive Control Panel to the clients. This product is precisely manufactured with the aid of latest technology utilizing quality approved components in adherence with set industry standards. Offered range is widely demanded in industrial sectors, commercial complexes, etc. AC Drive Control Panel is known for attributes such as impeccable performance, long operational life, power efficient, sturdy construction and high functionality. This product is extensively demanded among renowned patrons. Offered range is also quality analyzed by our professional analysts to ensure quality solutions to patrons. We design & manufacture a wide variety of Touch Screen panels as per the specifications of the client. 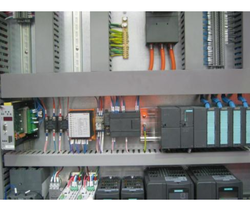 Usage Motor Control, Plc Automation,controlling Resistive And Inductive Load. 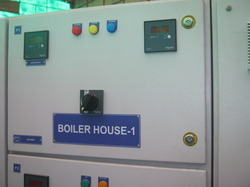 We design & manufacture a wide variety of Relay & Control panels as per the specifications of the client. 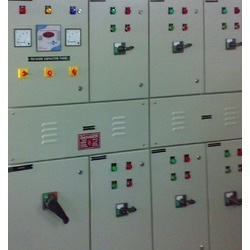 We are also the manufacturer and supplier of Power Control Panel or can say Power Management Panel. These are available in many standard and multiple configurations. These panels are manufactured with attention to every minute details and we ensure that they deliver unhindered performance. These panels are manufactured to meet the various industrial equipment needs. 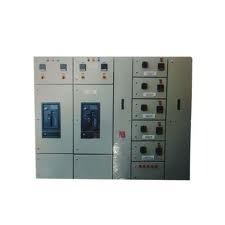 This type of panel used in large scale industry and refineries where the power is main factor. We are among the leaders in manufacturing and supplying the best quality Power Distribution Board. Our power distribution boards offer flexible and economical power distribution in every situation. The advanced systems offer everything that power transport and distribution currently demands. With our power distribution board, customers can rely upon high quality, safety and flexibility. The sophisticated system is designed to cover all types of installation requirements in industrial applications, infrastructure or buildings. 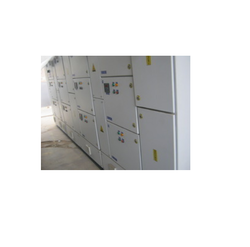 We provide various effective solutions for Remotely Controlling Pumping Station. We provide highly accurate & reliable Red Lion's wheeled sensors which are perfect for full contact measuring, whether used for counting or speed indication. · Select from our miniature, general or heavy duty models, all of which are available with various wheels and mounting brackets. 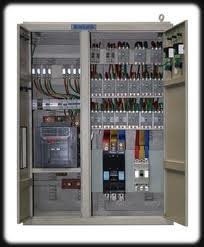 Control electric is having a good image in manufacturing of LT Control Panel. We manufacture LT Panel in our production house with international standards. Our technical team can design LT Control Panel according to the clients description. 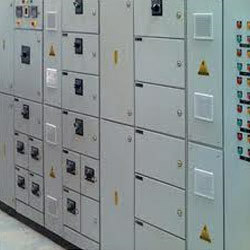 Control Electric is the main industry in manufacturing PCC Panel which are used for diverse industrial applications. 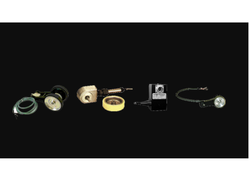 These are used to supervise and control the voltage and reactive power of power systems. These are available in wide range (from 630A to 6300A) to match every client needs. We are the manufacturer of an extensive range of Motor Control Centre, which is known for its design, excellent performance and good quality. Our panels are tested at CPRI/ERDA for IP55 Construction. Our panels are tested for the short circuit with stand and temp rise withstand. CE / UL approved also offered. We use GE /Schneider / Siemens / ABB products to make your MCC. We can offer you Type 1 or Type 2 Co-ordinate Panels. 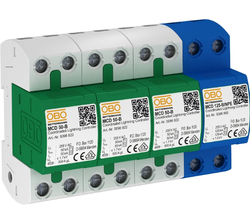 The MCCs' can be MPCB Contactor type or with SFU Contactor Over Load Relay protection. Modular and compartmentalized for 0.25 HP to 200 HP DOL and STAR- DELTA. Application:-Protection and Control Power Distribution. We are reckoned as the most effective APFC panel manufacturer. 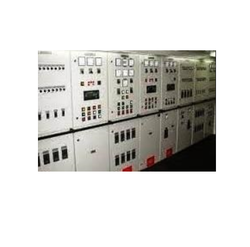 The unmatched quality and excellent performance of APFC control panel in respective application has attracted clients. Power factor is the most important item in an electrical loads. It is measured in KVAR and is in a dynamic state normally. In an institution generally the load is in inductive form causing a low PF. 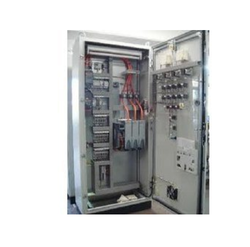 We are the manufacturers of Auto Mains Failure Panel and it functions between grid supply and DG supply. When grid supply is on,The DG is kept in stand by mode but as soon as grid supply fails, the breaker trips and DG sets are automatically switch on and DG breaker close and power supply is restored. When the grid supply restored, the DG breakers trips and within seconds the grid breaker close and the supply is again restored.